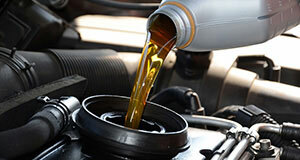 Wayne Akers Ford knows your vehicle and the type of oil it needs to keep it optimally maintained. Navigating your vehicle’s layout is reflexive for our certified automotive technicians. They are factory-trained experts that have performed oil change services and more on countless vehicles of all makes and models. With our dealership’s quality service people, there is no risk of accidental breakage of other parts or incorrect installation, because they’ve got the knowledge to do it right the first time. An added benefit to visiting your dealership for recommended maintenance services is that they are trained to notice abnormalities under your hood, potentially identifying other problems before they start. You can leave with confidence and the knowledge that we’re looking out for your safety and best interests. Regular oil changes are arguably the most important maintenance service your vehicle requires, and carries the strongest repercussions if maintenance is neglected. 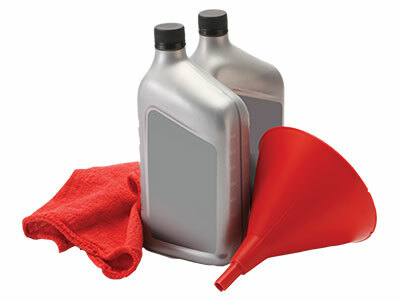 An adequate amount of clean oil is necessary to properly lubricate your engine’s metal components. These components are in constant contact, rubbing together with engine operation. Lubrication allows them to move freely and acts as a protective film. Without oil, the friction between these metal parts causes them to heat up. This can result in metal splinters contaminating oil and other engine components, which can lead to further damage. Overly hot engine components can also fuse together, seizing the engine. A seized engine generally cannot be repaired, instead requiring a full replacement. Some vehicle owners find themselves asking why they have to change the oil so frequently if they aren’t having any problems. Most vehicles consume a small amount of oil during their oil change cycle (typically around 3,000 miles). For some vehicles, up to a half quart per cycle is considered normal consumption. This can be problematic if you do not change your oil at recommended intervals-- before you know it, your engine could be running dry. Regular oil changes prevent this kind of damage and keep a constant flow of fresh clean oil, keeping your engine well lubricated and running smoothly. Our dealership uses only OEM (Original Equipment) parts to ensure a proper fit every time. With OEM parts, they are manufactured specifically for your vehicle. Aftermarket parts can run into fit issues, as they are designed by the process of reverse engineering. This means that aftermarket manufacturers disassemble OEM parts and re-build something that can be easily retrofitted to a larger pool of vehicle applications, often spanning multiple manufacturers. For oil changes, this means an aftermarket filter will be designed to fit several vehicles. It may be under or over sized for your application, or it may have issues sealing. Loose seals and improperly fitted oil filters can, and usually do, create leaks. These leaks lead to further issues including loss of power, engine component failure, overheating, or it may create enough damage to cause your engine to seize.